A Nigerian airline has blamed passengers after a plane door fell off shortly after landing. The Dana Air flight from Lagos was taxiing on the runway at Abuja airport when the emergency exit door came away. Passengers told of hearing a “rattling” throughout the flight and described what happened as “scary”. The airline insisted there was “no way” the door could have fallen off without a passenger making “a conscious effort” to open it. Dapo Sanwo, from Lagos, told the BBC: “The flight was noisy with vibrations from the floor panel. I noticed the emergency door latch was loose and dangling. Flew Dana. Exit door was unstable throughout the flight. As we touched down it fell off. Scary stuff. Another passenger, Ola Brown, a doctor from Lagos, said the door was “was unstable throughout the flight”. 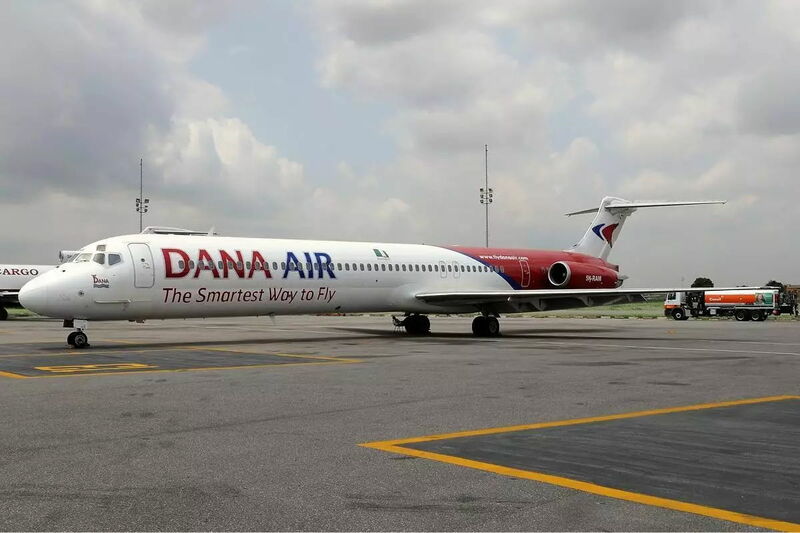 In a statement, Dana Air said “categorically that this could never have happened without a conscious effort by a passenger" to open the door. It added: “By design, the emergency exit door of our aircraft are plug-type backed by pressure, which ordinary cannot fall off without tampering or conscious effort to open by a crew member or passenger. The airline said its engineers and the Nigerian Civil Aviation Authority inspected the plane upon landing and found there was “no issue” and “no threat to safety at any point”. It added the aircraft later made the return flight to Lagos. Dana Air’s licence was suspended in 2012 and again in 2013 after two deadly crashes. It resumed flying in January 2014.